When the Federal Reserve was created in December 1913, it had 2 purposes: To defend the gold standard and the dollar against inflation, and to be a lender of last resort during a banking crisis. In the first 30 years, the Fed kept its promise more with the first goal than with the second. During the economic collapse of 1929-32, the Fed failed to be a lender of last resort. Thousands of US banks failed, and deflation and depression followed. In 2009, Harvard economists Reinhart and Rogoff published a paper with a graph showing consumer price inflation from 1775 to 2012. What’s remarkable about the graph is that, until the end of WWII in 1945, war brought about temporary inflation, but after each war, deflation set in and prices fell. In the graph, a line is drawn at 1913, when the Fed was created. But it’s clear that the Fed was not an engine of inflation for the first 30 years of its existence. It was only after WWII that inflation took off. 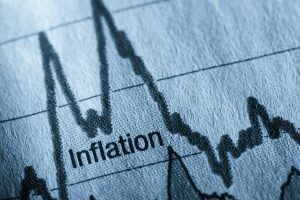 Keynesian economics, adopted by the Fed, policy makers and academia after WWII, caused inflation to become a permanent part of American Society. Keynes advocated that, after the war, the government should continue to inflate. He convinced government, academia and corporations that a little inflation was good. Deficit spending and easy-money policies became common after the war, especially in the face of a recession. The result has been a little or a lot of inflation (seldom deflation), and gold is the ultimate inflation hedge. The downward cycle in gold appears to be over. Skousen expects 2019 to be like the Wild West: dependent on the wily tweets of President Trump, gridlock in Washington, the never-ending trade war and the Fed threatening to raise rates again.